Andrea Badgley of Butterfly Mind and Andrea Reads America. Today, we are delighted to publish a writing challenge written by a member of the WordPress.com community. Meet Andrea Badgley. She holds a B.S. in Ecology, but left that field to raise children and write. 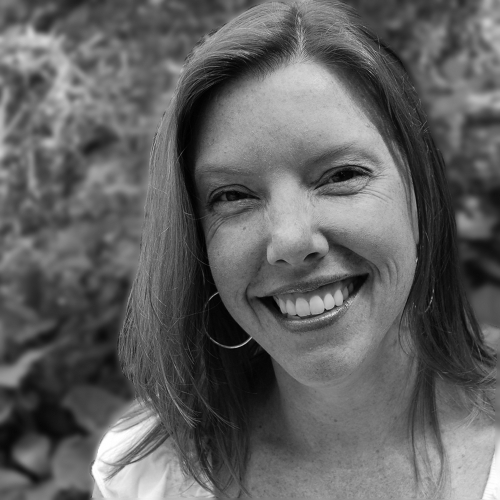 She writes creative nonfiction on her Butterfly Mind blog and, though she wonders if she’s crazy for doing it, she recently launched a second site, Andrea Reads America , where she chronicles her attempt to read three books set in each US state. Andrea grew up on the coast of Georgia and now lives with her husband and two children in the Appalachian mountains of Virginia. Follow her on Twitter @andreabadgley or on Facebook. And now, over to you, Andrea! I don’t know about you, but when it comes to writing I often find myself in one of two places: 1) I can’t think of anything to write about, or 2) I am flooded with ideas, so many ideas that I am swept away in a riptide of ideas, and I can’t find a stick to grab onto; I can’t get my bearings to begin, so I don’t begin at all. A piece of writing advice that solves both of these problems is to focus on an object. In the case of the idea drought, an object provides something basic to observe and describe, a starting point that might ultimately lead you into a deeper story. In the case of the idea flood, an object becomes your stick to grab onto, the anchor that holds you safe in the torrent and allows you to explore without getting swept away. Simple objects ground many familiar works. From William Carlos Williams’s compact poem The Red Wheelbarrow , to the vignettes of the film Coffee and Cigarettes , to the sweeping saga of Donna Tartt’s new novel The Goldfinch , objects anchor great writing: a red wheelbarrow paints imagery, coffee and cigarettes set a mood, a painting of a chained songbird represents greater themes of captivity and beauty. Objects are evocative; they hold stories. The writing challenge this week is to begin with an object. Take something small, and concrete — a thing, a noun — and use that as a starting point. You may simply want to describe the object: what does it look like, how does it feel, does it have a scent, a flavor, does it make a sound? Or you may want to use an object as a focal point to expand into something bigger. 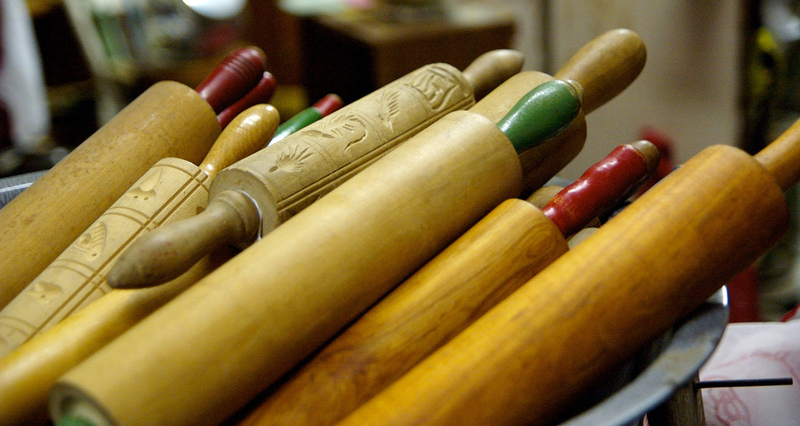 I wrote about rolling pins once, and a cookbook another time, and both led me into old kitchens, and musings of grandmothers, and recollections of favorite family meals. A piece on pie led me into my son’s Buddha soul. You never know where you might end up. Show us where an object leads you. Look around your writing space. Pick three objects you see (or hear or smell or feel) and reveal them to your reader. How do they represent you? How do they tell your story? Treat yourself to an artist’s day out. Explore an antique shop, or an art museum, a botanical garden, a park. Find an object that resonates with you and write its story. Go into your kitchen. Pick an object, any object that sparks a flame in you (or puts one out) — a cookbook, a muffin tin, your grandmother’s cast iron skillet, a rotting banana — and write about it. Character sketch: If you are working on character development, think about your character’s stuff. What objects are in her desk drawer? His medicine cabinet? Her glove compartment? What objects are in your desk drawer, medicine cabinet, glove compartment? Prompt box: Using small slips of paper, write the names of 20-30 things you love: seashells, copper kettles, cumulus clouds, golden pastries, tattoos. Fold the slips and put them into a vessel — a box, a hat, a jar. Pull a prompt out and write for ten minutes about it. Keep your pen (or fingers) moving and allow all thoughts onto the page (or the screen), regardless of what your inner editor says. Use this prompt box whenever you are stuck. Have fun with the challenge. Looking forward to reading your posts! I wrote this as I was making coffee one morning, and my mom was lecturing me about not to constantly drink it. Staring at the cup in my hand, I realized that I wanted to somehow prove that what I was doing on a daily basis was not a problem, and also that coffee was becoming more of a necessity (a healthy one, albeit) to me. I’ve had trouble getting into any of the writing challenges lately, but this one sounds fun. 🙂 I’ll definitely participate if I can find the time! I like this very much and often like to think an object holds a deep secret, if only it could talk. Personify it! What has it seen, heard, felt or been subjected to?? Was it abused? Cherished? I love objects and none are too small (or too vast!) to trigger blogging tales. Oooh, I like the deep secret route. There’s an interesting exercise in Jill Jepson’s book Writing as a Sacred Path that suggests looking at an *ordinary* stone for 20 minutes. “Layers” of an object’s essence emerge with extended contemplation … and it’s interesting to see how difficult it is to observe/be with an object for 20 minutes. A virtual eternity in this day and age! Good can’t go wrong tips. Prompts to get the bearing and the flow for smooth writting experience. Well commended. What excellent ideas! I love the one to write 20 or 30 things you love and draw from them when you draw a blank on what to write. I love that! I’m definitely going to use that one. I have an idea for my weekly challenge. Thanks for your post. You are very welcome. It’s always fun to pull a slip out of a box and get the little thrill of “I love this thing! It makes me think of…” Have fun with your prompts. Thanks for the hints and advice. This is very helpful. I hope it works for me. “Sometimes, I have so many ideas that I start writing about all of them at once and none of them get finished.” Yes! So many unfinished pieces. Sticking to an object as a focal point has helped me with this – you can’t write everything all at once, but you can write about one thing. It’s not quite as overwhelming that way. Good luck! I’ve attempted to pick-up on this challenge. It was a little easier with your suggestions posted here. Thank you for adding another helpful way to create better writing. It’s very much appreciated. I have this happen all the time, so sadly, I either don’t write anything, or, I end up starting a page or so and never getting back to it. I probably have a notebook full of stuff I’ve started here and there, and never finished, maybe your daily/weekly writing prompts will help me start writing regularly. Have a great night. Great ideas, Andrea. I have always thought about making a prompt jar, but never followed through with it. Maybe today is that day. Do it, Amy! I use mine all the time. After a year of thinking I should write something, I finally did it. I am challenging myself to write for 30min a day for 30 days. My topic: letters to Dolly, my mother who wont speak to me. Perfect timing….I just had a thought about an object and wanted to write about it. I have never done one of the challenges. Thank you so much, for this challenge, Andrea! I hope, you don’t mind, that I also took your name for inspiration. What came out was a little piece about something, which might be an object on first sight, but comes to life for everyone to see. Thanks so much for your idea! Oh I really do (I still haven’t found my id). I recently focused my energies on a tiny thing : a dot. An unexpected piece emerged from this “meditation”. However, since I have already published my post on it, I can no longer submit it in response to your challenge. In any case, thanks for sharing. I am sure this challenge will spark many fun posts! I loved your dot post – maybe you could write the dash next? Your last challenge resulted in nothing’s being given an FP; and that is, of course!, entirely your prerogative. We’re always thinking about / rethinking the way we do things at The Daily Post and on Freshly Pressed, and WordPress.com News too. We’re working on more ways to recognize the amazing work we get to see every day from folks on WordPress.com. We agree with you: bumping three or four writing challenge posts to Freshly Pressed each week doesn’t do a great job of showing the depth and variety of excellent posts and photos we see in response to the challenges and daily prompts. We’ll be sharing more links to work that speaks to us on the @postaday and @freshly_pressed Twitter handles. As well, designer Shaun has been knee-deep in a complete redesign of The Daily Post. (You heard it here first!) One of the major goals of our redesign is to better showcase work from readers and help readers find older posts that might be of help and interest, regardless of whether they just started blogging last week, or if they’ve been with us for years. It’s not that I thought you guys were sitting around chatting and catching up on your stamp albums, Krista … I honestly thought a couple of the entries in that challenge were worth at least some recognition. To have a total silence following a writing challenge was a bit … odd. Unlike you lot. 🙂 The Twitter handles don’t do nothin’ for me, alas. Looking forward to seeing the results of Shaun’s sweated labor! I noticed too, but my view is slightly different. One of my earliest followers was FP’d and he quit his blog several months later. The recognition may have given him a temporary bump, but it didn’t do his blog any lasting good. (I’ve heard many stories like this, sad to say.) The post was worthy but the blog couldn’t retain viewers. As far as I’m concerned, FP can go to the people or messages it will help most… regardless of how many selections come from the weekly challenge. For some bloggers, FP will be a springboard for a post going viral or even for a book contract, so we’re not talking about small consequences here. You’re right @Bumblepuppies — appearing on Freshly Pressed can bring an uptick of traffic, which tends to slow over time. It also tends to increase a blog’s number of followers, which is a nice side benefit. Becoming famous or going viral happens for a very tiny percentage of bloggers. And because that does happen, it can be a motivator for some. It’s hard to fault anyone for finding motivation to blog, though going viral is an extremely rare occurrence. Of the 30 million posts written on WP.com each month, I know of three that have gone viral in the last four months or so. I could have probably written for quite a while longer but thought I’d keep this one to the 10 minutes of writing that was allocated for this challenge. Love the suggestions for an Artists’ day out. Hadn’t thought of these before. An artists day out or a search of inspiration – call it what you will, we all need them. Good call. Nodding in agreement. Tried some of the suggestions today in my break. for a couple of weeks now, i’d been wondering who the hell was leaving a half-eaten orange on top of the backyard fence. could it be the next door neighbor? i doubt it. he doesn’t seem to be that friendly. at the same time, i shudder at the thought that he might be suspecting me doing it as some kind of prank. trust me, you would get scared, too, if you see him. he’s one you don’t want to cross. he’s built like a defensive tackle on the football field. well, the mystery was solved this saturday and i have the picture to prove it. i was about to open the kitchen door leading to the outside deck when i caught the culprit in the act. seeing him stopped me dead in my tracks. right then and there, i wanted to shoot him. no, not with a gun, silly, but with a camera. This whole thing reminded me of a story I read in high school. I think the name of it was, “Take This Fish and Look at It,” about learning to be really observant. This challenge has got me thinking!! I object! I’m not an object. What a great idea. I recently enjoyed a flood of ideas day. It was prompted by a photo my friend sent me of a cake she had just made. I was shocked at how talented she was and realized I had never paid much attention to the talents of other friends around me. This post is the result of my wake up call. (That’s not true, there most certainly is something there, and you should go check it out). Happy to help. I hope this got the creative juices flowing. 180 Responses While this challenge is closed to new entries, we encourage you to visit the Reader to find other avid bloggers. The Daily Post Nitpickers of the World, Unite Edit! by L. D. Rose May I Have License to State the Obvious? Victoria.K.Gallagher ‘DP Challenge: Object’ – The Light, The Dark. jenny's lark Minding the day. Trucker Turning Write If those dentures could talk. thatchristalgirlsblog Can You Hear Me Now? Hope* the happy hugger Me, the Fockers and a Cosmo. Rebranding Life A 100 days to a new me: Day 9, where did the roses go? First Person: a novel An object lesson in writing? cockatooscreeching DP Challenge: Object. My camera. Sober Rants Approaching your 30′s with a big question mark?